The Killer Tomato by APPF Incorporated is a Naval Gunnery Target Balloon (NavTGT). Used on calm to moderate seas, this military target was created to withstand machine gun fire and the waves of the ocean. No matter what you or Mother Nature throws at the Killer Tomato, it keeps standing upright, making it the ideal target for heavy-duty artillery. Once inflated with air, the Killer Tomato has a large, self-filling integrated skirt that holds the target in place on the sea surface. Killer Tomatoes are large, inflatable military targets that are easy to deploy and collect. Once the target is inflated, simply throw it overboard. It can be used for target practice with 4.5-inch naval guns, the Phalanx CIWS, Hellfire and Apache choppers, and more! Killer Tomatoes come with radar reflectors for weapon systems practice. Why is Military Target Called Killer Tomato? The Killer Tomato balloon was created many, many years ago by American Poly Vinyl. At the time of its first construction, Attack of the Killer Tomatoes was featured and quickly become an international movie sensation. Because of our target balloon's distinct rounded shape and reddish-orange color, the US Navy dubbed it the "Killer Tomato," and the name stuck. APPF Incorporated works routinely with military clients, medical clients, as well as in the private sector, producing radar-reflective Killer Tomatoes and other military target balloons. Additionally, APPF specializes in building containment systems, such as potable water tank liners. Feel free to take a look at our portfolio to see some of the products we've created. What's the Best Place for Military Targets? 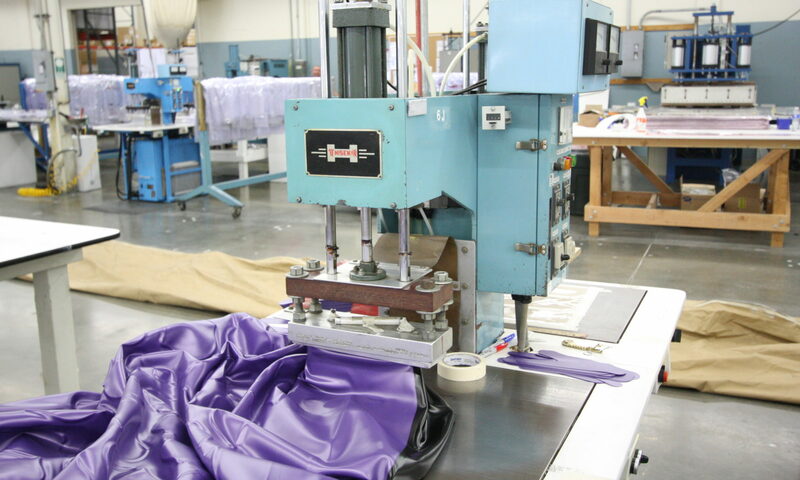 APPF Incorporated is known for creating tough and versatile fabrics and constructions that last for years and can take a beating. We are a privately owned, US-based company, located in Southern California. We manufacture our Killer Tomatoes and all of our products in our vast, 52,000 Sq-Ft., state-of-the-art facility. We turn prints into products and customize all of our work according to the distinct needs of each client. There are few facilities in America or in the world that could rival ours. APPF Incorporated creates the best inflatable military targets because we use the best technology and equipment in the world. Along with our industry-leading computer technology, APPF Incorporated also uses RF welding and sewing for an industry-leading seal. The Killer Tomato is a very popular product used by the US Navy. With many versions, the Killer Tomato can be easier to detect on radar or the human eye, even at night. If you would like to learn more about APPF Incorporated or view or portfolio online, you may do so at any time via our website. We have the technology and equipment, along with the experience and expertise, that it takes for successful product development. Send us a request for a quote, and let us turn your idea into reality. You may reach out at any time to learn about product drawings, material specifications, appropriate file types, etc.